Steve Watson graduated from Southwest Texas State University with a Bachelors degree in Business Administration and a double minor in Law Enforcement and Physical Education. Following in the hotel management tradition set forth by his great grandfather, grandfather and father, Steve started in the hospitality industry in the early 1970s as a fourth generation hotelier. From there he directed hotel and food operation as a General Manager for fifteen years for the Kahler Hotel Corporation, Marriott Hotel Corporation and Hilton Hotels. 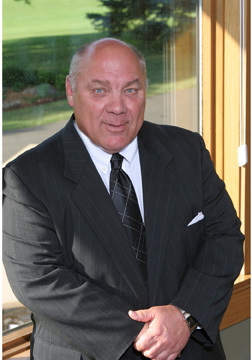 Steve has spent the past twenty-five years in private club management, most recently as General Manager/Chief Operating Officer of Mendakota Country Club, a private country club in Mendota Heights, MN. He has operated prestigious private clubs in Houston, TX, Wichita KS, Fargo, ND, Rochester, MN and Saint Paul, MN. Steve attributes his success in private club management to his operating philosophy centered on member recognition, positive price/value perception and member participation. He earned his Certified Club Manager status in 2002. Steve has been affiliated with and served on many boards and foundations, including Board Director of the National Restaurant Association, Treasurer of Hospitality Minnesota Educational Foundation, President of Minnesota Restaurant Association, Chairman of the Board of Hospitality Minnesota, Board Director for Tee It Up for the Troops, Member of Club Managers Association of America, Member on National Member Services Committee, Faculty Status as Lecturer at North Dakota State University and Member of Educational Institute of the American Hotel and Motel Association. Extracurricular activities have included football officiating on high school and college levels for thirty-three years and baseball officiating on high school, college and professional levels for thirty-four years. In recognition of Steve’s commitment to the community personally and professionally, in 2009 the National Restaurant Association awarded him first place in the state of MN for the Humanitarian Award and Mendakota Country Club was awarded first place in the state of MN for the Good Neighbor Award.